Most consultation meetings last around thirty minutes to an hour. We want to make sure we answer all of your questions, and we can always take more time to familiarize you with our process. During the on-site consultation, we’ll explain how our systems work and discuss the specific pieces of your property you’re interested in protecting. While walking through the house, we’ll talk about how you can use the systems, offer suggestions regarding which systems will work best to meet your wants and needs and point out which areas would be best for installing the systems. In most cases, a sales associate will prepare your estimate right on site. We’ll email the estimate to you and review it together before we leave to ensure we’ve covered all of your requests. 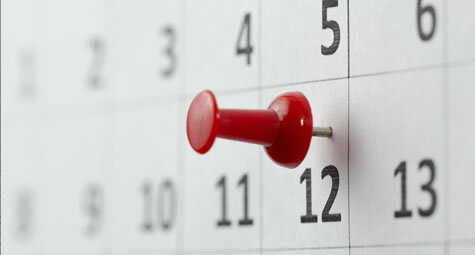 For larger businesses, preparing the estimate may take a few days to a week depending on what services are being requested. If this is the case, we’ll submit the estimate to you via email in a PDF format. 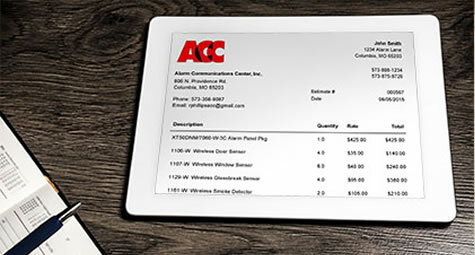 ACC will call you to schedule an installation time that works with your schedule. Home installations generally take one day. Installations for small businesses may take a day or two, while larger businesses should expect a wider time frame based on the system and building size. Before we sign off on the job, our installers will program, test and verify that the systems are transmitting to the office in Columbia. Then, we’ll set up a time to train you on how to use the system. Our monitoring service begins as soon as the system is completely installed and tested. You can rest easy knowing that we’ll be watching out for you and are available when you need us. If we receive any notification from the system signaling a problem, we’ll notify you about the issue. You’ll never be directed to a voicemail. Someone is always in the office if you experience a problem, or have a question about your system. Even after hours we have a technician on call to help you understand what’s going on with your security systems. If necessary, we’ll jump in the truck, drive to your location and fix the problem right then and there.